An intuitive, applications-driven guide to electronics for engineers, hobbyists, and students — one that doesn’t overload readers with technical detail. Chock-full of illustrations — over 750 hand-drawn images provide clear, detailed instructions on how to turn theoretical ideas into real-life gadgets. Covers integrated circuits (ICs), digital electronics, and various input/output devices; includes a complete chapter on the latest microcontrollers. Digital storage oscilloscopes have long since completely supplanted analog storage oscilloscopes and have reached a degree of sophistication and performance which enable them to rival the most advanced real time oscilloscopes. In this comprehensive handbook, which provides a practical vade mecum for the engineer, Ian Hickman describes how they work and how to use them to best advantage. A wide range of models is available. This book includes a guide to all makes and models and will be best kept beside the instrument for instant reference. It will also be a most helpful guide to the subject for students and trainees. Operational amplifiers play a vital role in modern electronics design. The latest op amps have powerful new features, making them more suitable for use in many products requiring weak signal amplification, such as medical devices, communications technology, optical networks, and sensor interfacing. 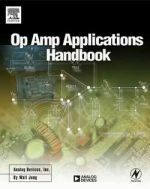 The Op Amp Applications Handbook may well be the ultimate op amp reference book available. This book is brimming with up-to-date application circuits, valuable design tips, and in-depth coverage of the latest techniques to simplify op amp circuit designs, and improve their performance. As an added bonus, a selection on the history of op amp development provides an extensive and expertly researched overview, of interest to anyone involved in this important area of electronics. 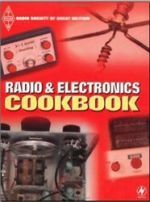 The RSGB Radio and Electronics Cookbook is a unique collection of electronics projects, ideal for all electronics enthusiasts and experimenters. 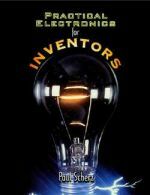 The simple step-by-step instructions also make this book ideal for amateurs seeking to build up their electronics skills and knowledge. The projects draw on the massive enthusiasm and design know-how of the RSGB, the UK's leading federation of radio amateurs. Only a basic acquaintance with electronics construction is assumed, with clear step-by-step instructions and numerous illustrations supplied throughout. The projects are also supported with features on the electronics involved. The circuits themselves provide a wealth of quick, rewarding construction projects ranging from radio receivers and amplifiers to test equipment, a moisture meter, a desk microphone, a water level alarm, and Christmas tree LEDs. 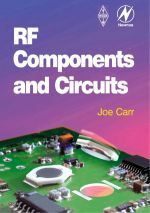 Some basic knowledge of electronics is assumed, but the essential features of RF are fully described, including the important topic of receiver dynamic which is often overlooked in basic textbooks. The theory and circuit descriptions are geared towards genuine design applications rather than the oversimiplifications and skeleton circuits of many college texts. During his career, the late Joe Carr was one of the world's leading writers on electronics and radio, and an authority on the design and use of RF systems. 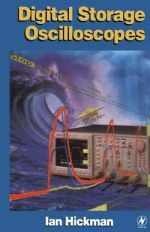 Whether you are looking for a complete self-study course in RF technology, or a concise reference text to dip into, this book has the solution. Understanding vehicle electrical and electronic systems is core to the work of every motor vehicle mechanic and technician. This classic text ensures that students and practicing engineers alike keep abreast of advancing technology within the framework of the latest FE course requirements. 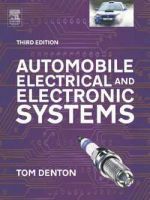 The new edition includes updated and new material throughout, covering recent developments such as microelectronic systems, testing equipment, engine management systems and car entertainment and comfort systems. New self-assessment material includes multiple choice questions on each of the key topics covered. With over 600 clear diagrams and figures the new edition will continue to be the book of choice for many students taking IMI technical certificates and NVQ level qualifications, C&G courses, HNC/D courses, and their international equivalents, and is also ideal for use as a reference book by service department personnel. The first edition of this book was written six years ago. Since then, there have been some significant developments in the area of car audio (and video). In addition, many of the products featured in the first edition are now obsolete. While the first edition of the book continues to sell, we have seen a bit of a slow-down at major accounts. This edition promises to be even more successful than the last. 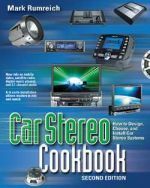 Car Stereo Cookbook, 2e is a completely revamped edition of a hugely successful title that continues to sell. This revised book will include new information on mobile video, satellite radio, mp3, wma, digital broadcast radio, and will eliminate the out-of-date products that are no longer pertinent. This is the book that security professionals, security system installers and hobbyists have been waiting for. 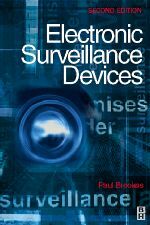 Paul Brookes launches straight into the practicalities of electronic surveillance with plenty of clear, detailed information on building the devices that are at the heart of surveillance and counter-surveillance. Self-build electronics projects are supported by principles and a brief survey of each type of device. The second edition of this popular handbook has been extended with new material on microphones, amplifiers and transmitters. Хотите стать более независимыми, или Вам просто нравится экспериментировать, тогда эта книга для Вас. В книге рассказывается о том, как построить вашу собственную солнечную панель, чтобы получать электричество от солнца. Около 150 детальных цветных фотографий и иллюстраций, а также список необходимых материалов и инструментов. Almost anyone can set up a solar panel and use the power – independent of the grid and other “powers that be.” Batteries and supercapacitors for the electronic devices that we use on a daily basis can be recharged by this natural and renewable energy resource. Doing so cuts down on pollution and makes life better for everyone. Practically every aspect of our lives will be touched in a positive way by the increasing use of solar electric power. Build your dream loudspeaker system! 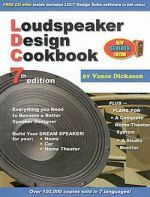 The Loudspeaker Design Cookbook has everything you need to know to build that dream loudspeaker system for your home, your car, or your new home theater, but thought you couldn't afford. It shows easy ways to pick exactly the right parts, boxes and pleasing finish as well as the correct way to feed your music to your new, superb loudspeaker system. Contains proven designs, a world of the best sources, and easy ways to test the results for yourself. This popular book has been translated into German, Portuguese, French, Dutch and Italian. It is considered by many to be the bible of loudspeaker design.